Looking to complete their squads with the best talent on show and fill in the missing gaps, the eight teams in the Indian Premier League went all out at the recently concluded auction. 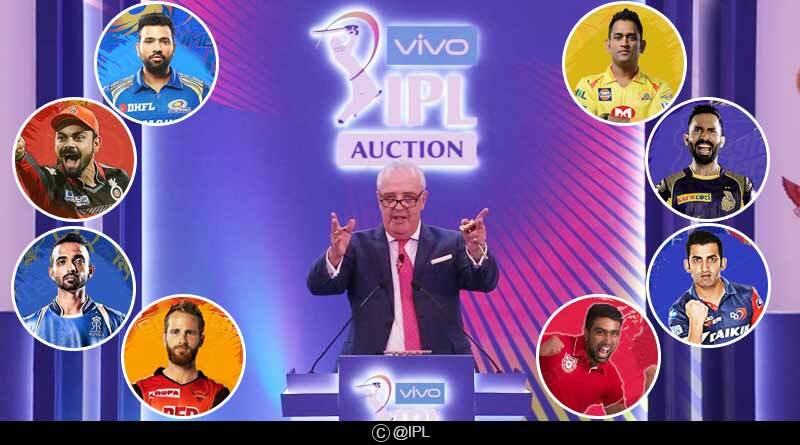 Armed with a different purse and strategy for the auction, each team went about treating the auction differently to strengthen their side to launch their best bid for the coveted IPL trophy. With the auction behind us, we take a look at IPL 2019 complete squad of all 8 teams. With the world cup slated to commence only a week after the 2019 edition of the IPL, teams splurged the cash on Indian players the most. Out of the 60 players sold at the auction, Indians dominated the list with 40 while only 20 overseas players were sold. Among the foreigners, West Indians were the flavour of the town with the likes of Shimron Hetmyer and Carlos Braithwaite taking home massive paychecks. Armed with a purse of Rs.22.5 crore, the new look Delhi Capitals side were the first team to kick off action at the IPL auction, making the first buy with Axar Patel Despite spending big on two players Colin Ingram and Patel; they concluded the auctions with a remaining amount of Rs.8 crore, the highest of any team. Shelling out a whopping amount of Rs. 6.4 crore on Sam Curran to make him the most expensive overseas players in IPL 2019, KXIP were also among the heavy spenders at the auction. Another prominent buy for them was Indian pacer Mohammed Shami who was picked up for Rs. 4.8 crore. Looking to bolster their already dangerous batting line-up, RCB spent a hefty amount on Shimron Hetmyer. Their tactics at the auction were clear; go in for as many hard-hitters as possible to accompany the likes of Virat Kohli and AB de Villiers. One of the least active teams at the auction after having retained most of their core squad, CSK added just two players to their players’ list. They released only three players in the mid-transfer window earlier this year. Roping in three batsmen to add strength to their batting line-up, SRH bought Jonny Bairstow, Wriddhiman Saha and Martin Guptill in Jaipur. They’ll also be having the banned David Warner back for next year’s premier tournament with the Australian’s one year ban by the BCCI and IPL coming to an end in 2019. They bought a total of eight players at the IPL Auction 2019. Pulling off the biggest and also the most eye-catching buy of 2019, Rajasthan Royals paid a whopping Rs. 8.4 crore for Jaydev Unadkat, a player they had released earlier in 2018 to make him the highest grosser at the event. In total, they bought a total of nine players with Oshane Thomas also being nabbed up by hem to strengthen the pace department. It will be interesting to see who is handed the captaincy with Steve Smith making a comeback next year into their side. Will they opt to keep the faith in Rahane or restore Smith at the helm? 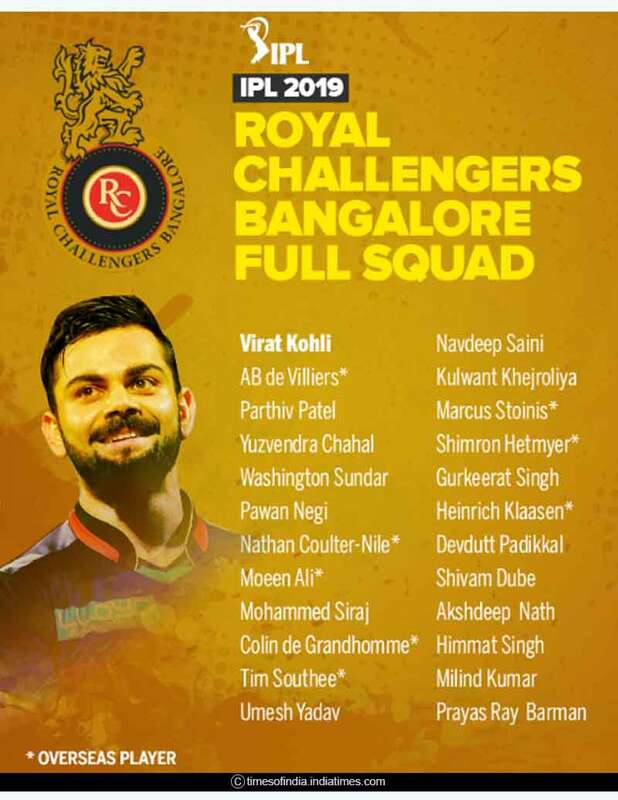 For more articles like IPL 2019 complete squad of all 8 teams, do Subscribe to our newsletter and follow us on Facebook, Twitter and Google+.